Patra's Other Place: Independence Day over there! 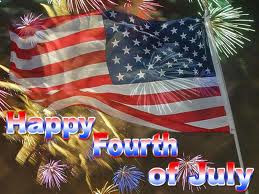 Happy July 4 to my American cyberspace friends! It's been all bad news on the media here, about the terrible fires and freak weather, so I guess many people won't have much to celebrate. I hope that whoever is reading my blog over there is safe and well, and will have a wonderful day.